Verde serves communities by building environmental wealth through Social Enterprise, Outreach and Advocacy in Portland’s Cully neighborhood. 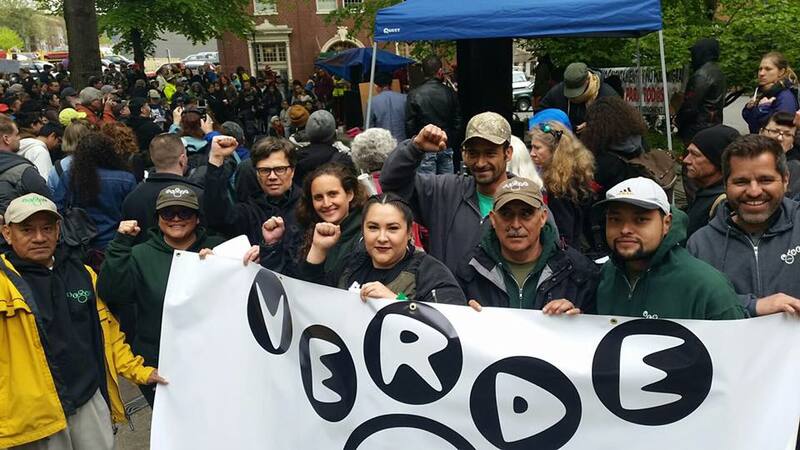 Verde operates Outreach and Advocacy programs, including the Living Cully collaboration of four nonprofit organizations that focus on the low-income, diverse Cully neighborhood of NE Portland. Verde’s Rapid Response grant request Verde requests $2,000 for a response event (Cully Stands Together) to racist graffiti on a local church and diverse urban school in NE Cully neighborhood. The Cully Stands Together event will be at Trinity Lutheran Church in the NE Cully neighborhood on Saturday, July 8th. The event responds to a recent hate crime in the Cully neighborhood, namely the defacing of Trinity Lutheran Church and its adjacent school. On April 21, 2017, Trinity Lutheran staff discovered that racist graffiti and images had been spray painted on to walls of the church and the school and playground equipment. In response, the Cully Stands Together event will bring together the community in a celebration of the neighborhood’s diversity. Cully is a low-income community with important populations of Latinos, African refugees, and African-Americans, among other diverse groups. Cully Stands Together will unify the neighborhood through a day of performance, speeches, and neighbors sharing time together to show support for Trinity Lutheran Church and School, to celebrate their community and to reject racist, anti-immigrant sentiment. Micronesian Islander Community’s (MIC) mission is to unite all Micronesian and Islanders, promote social justice, build the leaders of tomorrow, and promote and preserve our culture. Indian People’s Action works in Montana’s border towns and reservations to empower Montana’s Indian families to address the economic, racial and environmental inequities that shape their lives. Founded in 1996, IPA works to achieve its mission by training and developing low-income Native American leaders, working to build strong coalitions and partnering with tribes, other Native organizations, and other progressive organizations in Montana.